Well, If you set up wireless ad hoc connection on your windows computer, you’ll be able to connect other devices to your computer’s wifi network and thus share the internet connection of your computer with other devices without the need of external router or access point, etc. This is similar to wireless tethering and portable hotspot feature on your android phone. On Windows 7, we have an option in new connection setup wizard in network and sharing center for this purpose, but on windows 8, we do not get any such option to set up wireless ad hoc connection, but that doesn’t mean you can not do it. I wonder why Microsoft removed that particular option from there when every device now a days is coming up with hotspot and tethering feature. Anyways, in this tutorial we’ll learn how to turn our computer into wifi hotspot on windows 8 so that other devices could connect to our computer via WiFi. We’ll also learn how to share our windows 8 computer’s internet connection with other devices without using WiFi router..
Press win key + x and Choose command prompt (Admin) option from the menu displayed. Alternatively, you can type cmd on start screen, right click on command prompt from the search results, choose run as administrator. Instead of typing nameofnetwork in the above step, type any name that you want to give to your network.. Instead of typing networkpassword in step above, type secure hard-to-guess password that you want for your network so that anyone trying to connect to your network must know the password. Now type netsh wlan start hostednetwork and press enter. You windows 8 laptop/tablet/computer will now be configured as WiFi Hotspot. Any other device could now connect to your computer’s WiFi using the password that you set in the step above. So, Turn WiFi on other devices like your smartphone or another laptop running any version of windows be it windows 7, vista or windows xp. On the second device, your WiFi network name will be shown, connect to it. It’ll ask for the password. Enter the same password you created in second step. Done. Your second device will be connected to your computer’s WiFi. If you want to remove or stop the newly created ad-hoc connection, type netsh wlan stop hostednetwork in command prompt(admin). In the first part of this tutorial above, we configured our system as WiFi hotspot, but still other devices connected to our system won’t be able to access internet. Hence we need to follow this part of tutorial so that every devices connected will be able to use our system’s internet connection. First, make sure your main system is connected to internet via WiFi or wired connection or usb modem or whatever medium. Now type network and sharing center on start screen and choose settings and then choose the concerned search result. Alternatively open control panel and go to the concerned option. In network and sharing center, your newly created WiFi hotspot as well as your system’s main internet connection will be listed. Click on the network link of your system’s main internet beside Connections and select properties from the dialog box that opens. Select Sharing tab. Tick mark the option – Allow other network users to connect through this computer’s internet connection. Now select your WiFi Hotspot connection name from dropdown box below. Hit on Ok. Done. Now, all other devices, laptops connected to your computer’s WiFi ad-hoc connection will be able to access internet using your system’s primary internet connection. If you face any problem with this method, just comment here and we’ll help you. You can also make use of third-party tools like Free Virtual Router for Windows 8 or Windows 7, Connectify, etc, but I hope this method explained in this article is simple and fair enough that you don’t require any third-party utilities. 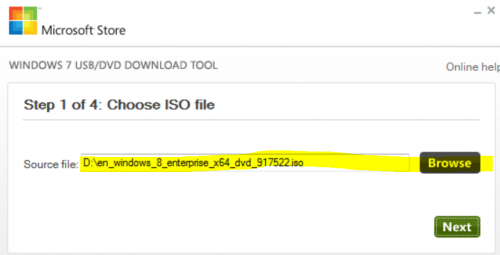 This method also works on Windows 7 and can be used to connect any device be it phone, tablets, another laptop or computer running any operating system. how to make a wifi but no password?? The username and password cannot be saved saved for use by all user..
You can use Virtual Router ( http://virtualrouter.codeplex.com ) to more easily set up your computer as a Wifi Hotspot. Thanks Saurabh!! it worked like a charm. hello! iam not getting any dropbox in the sharing tab after ticking the option -‘Allow other network users to connect through this computer’s internet connection’ …instead its just showing a textfield written ‘ethernet’ in it..
How did you solve that? Help me Plz ..
Not working on my windows 8 PC and I am able to discover wifi on my window phone but not able to connect with it. What error are you getting.. You should enter the password (key) on your phone correctly choosing the encryption method appropriately..
not working….”The hosted network couldn’t be started. the error you are getting is probably because you have not turned on wifi of your pc prior to entering the commands. First make sure your computer’s wifi is turned on and then try the above tutorial. i disable the private network, how to enable it again? what do you mean? Did you select public as the network type? Just go to network and sharing center (type this phrase on start screen and choose settings and then this).. click on the connected network link in the window that opens and change the network mode from public to private..
… Now, internet connection was not working in earlier case because you didn’t follow the second part of this tutorial i.e. 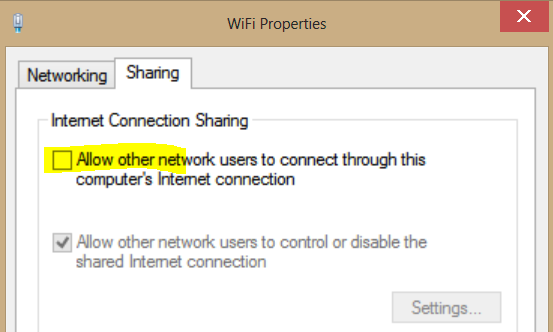 you need to enable internet connection sharing on your computer’s already connected network.. So, that WiFi network will be able to use computer’s internet.. Try providing ip address on your smartphone manually.. Check the local ip address on your pc and try providing some incremental number in the last part of ip address on your phone..
Unfortunatly I disable the my shared adhoc network which I was created by given cmd. my Q. is that how I enable the my adhoc network again. You need to first switch on your computer’s WiFi.. This error occurs generally when WiFi is turned off..
How did you disable your network? Using stop command as mentioned in the article or by disabling the adapter/connection itself? saurabh my problem is same as sujeet s n yes i had turned on wifi still its showing the same error pls help!! As you can see in the video, when my WiFi was turned off, I received that error.. I turned the WiFi on and no such errors were received.. Maybe you should try the stop command first and then start command while WiFi should be turned on .. If you’re trying this on laptop, there must be some shortcut key combination to turn on WiFi..
but stil not working….”The hosted network couldn’t be started. how to change the wifi password???? how to remove the wifi password ??? Hotspot started successfully but in my phone (galaxy note n7000), while connecting the wifi its stucks on “OBTAINING IP ADD”… and so on plz help… i have win8 pro..
hi there, thanks for all the information, it worked great until now, i got a problem, when i try to start the connection it tells me that it’s impossible to start the network because the network doesn’t find in the appropriate mode to start the connection, do you have any idea about what should i do in this case? Stop the network first using the command given in the tutorial above and then try starting again..
Read my reply to Sujeet and other comments and follow accordingly and see if that helps..
i tried turning wifi on and doing all steps , still same results……………. the 1st time i did this it was a success but i selected wrong sharing option bymistake.. then i erased the connection and tried to do it again… but i am getting the error…………..
You need to use STOP command as given in the tutorial above before trying to start hosted network again. did that too , still getting same error……………………..
Do you STOP the created hotspot when you turn off laptop? Right click the command prompt and click “RUN AS ADMINISTER” and then follow the same tutorial …. Hey can you just make a video for the little error everyone is getting because I’m getting the same error & i don’t know whats going on. I’m posting this comment because wifi problems in Win 8 are quite common. 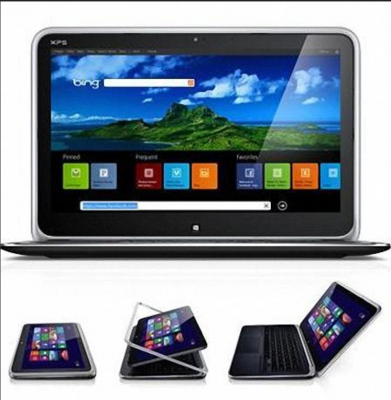 Had problem to connect new Win8 Samsung Ativ to my wlan, everything seems to be ok, Ativ did show several networks including my hidden one but Windows always returned “cannot connect with this wlan”. I did turn on “broadcast SSID” on my wireless router and now it works perfectly! Thanks for the tip! Do you have any idea how many computers can connect to my laptop once it is set up as a hotspot? Can I connect say twenty computers? This might work good in schools for example. My device is connected with the newly created wifi network, but still i am unable to access internet in my device. please help me..
can i use internet in mobile with use of laptop wifi hotspot? Hey man. I got it to work for a few minutes. But afterwards my phone and tab lost connection and now it wont connect? Is there any reason for that? I tried to stop and start the hostednetwork again. But nothing. It get stucked at connecting. Then fails. I’m doing all step by step but it is not working plzz tell me why??????? Hi I am connected to hotspot but there i am unable to access internet on my mobile . Did you enable sharing of your current internet connection on your pc? Yes saurabh i have enabled…..have followed all the instructions . I am able to connect to the hotspot with my mobile but there is no internet access. I have also changed the IP and gateway settings in my mobile as indicated in some places but without success. having same problem as you, did u get fixed. please help if you can. But My Tab doesn’t detect the wifi network created using my lap…. And when I disconnect & Reconnect my lap’s internet device(USB modem), I get the same error message…..
ArunAdhithan- I got the same message, then I turned off my mobile phone wifi (not the laptop wifi)and restarted it after few seconds. And it worked. i followed every step mentioned .. but it says that the a group of resources are not in the right position to perform the given function. This tutorial worked perfectly for me, but is there a way to stop it other than entering the stop command. If that is the only way I can handle it though. Hey! Its easy but i’m getting an error : ” The hosted network couldn’t be started. i want to delete the hosted network…….what should i do. I HAVE MET THIS PROBLEM . WHAT SHOULD I DO ? Does this work if there is no WiFi option like in desktops . .because i m using desktop and there is no WiFi option and i don’t want to buy any WiFi Router . .
so will this work ? correction dude….we can only share wired or wireless network except any usb modem…… on win 8……. You’re wrong.. Even USB modem based network can also be shared.. I’ve tried it..
the group is not in the correct state…??? i m gwtting this what it is?? I am facing the problem in the command. when i type the last command to set the hostednetwork then it says that the hosted network couden’t be started.The group or resources not in the correct state to perform the requested operation. you should be able to get it to work again. Hey, this is very helped. Thanks!!! the wierd thing is that, im connected. im able to ping to google.com or any sites. but i cannot browse internet. any idea.. no proxy config or anything set. You’ve to be more specific, like which firewall is active on your system? Is the problem being faced only using hotspot or on direct net connection as well? What’s the ip adress resonse you see when you ping google? i was using mcafee internet security – i disabled that and i was able to browse the internet. problem is only faced by devices connected to the hotspot. i did not take note of the IP Add..sorry..
but i got it working after that..we need to add an exception for the IP range..
for those who can connect to your hosted Wifi network but unable to browse or the device gets disconnected. u need to add an exception. u can test it by disabling the firewall for 60 minutes then test the connection, it shud work. i have saved my id and password succesfully. but when i want to start the network. there is a error. its showing “the hosted network couldn’t be started. the group or resource is not in the correct state to perform the requested operation”, so what is the problem. I have enabled share at my primary NB connection, try disable firewall and antivirus for a while, disable IPv6, but still no luck… even when I ping (download tools from play store) it’s not reachable as well… stuck and need help here…. I could see the network on my ipad and iphone but even after 10 minutes of them trying to connect, it is not connecting. Any specific reasons? I need to connect to a vpn connection after connecting to my universities wireless in order to have internet access. I tried your method but there is no internet on the virtual router connection. I would be appreciated if tou help me with this. It worked like a charm! thank you…i was struggling with this for a while. Well, I wrote it worked…and it actually does. I can easily connect through WiFi my iPhone 5 to Asus laptop and use the internet…The problem starts when my iphone goes to standby (maybe 5 min). The connection is established again, but internet doesn’t work on the phone. Any idea why this happen? In the meanwhile my 3g usb dongle internet connection works just fine on the laptop. When I disable WiFi on my phone and enable it again…i can’t even connect back to the hotspot…. Help please? Thanks for u r tip, its working fine but is there any idea to make it permanent means after restarting also the access point need to be working condition. i made my computer as wifi hotspot. but i couldn’t find name of tht network in the control panel home page. so that i cant connect to internet. All those who are getting this error, ensure that the Wireless LAN is not turned off. thanks saurabh i do it all well. I have got my wifi hotspot on my mobile too. But i was unable to do net on my phone. So i once again checked connections in control pannel .But it was showing no internet access in my hotspot connection. What i have to do now? hi saurabh, and gopi ,please help me i did it well as you said. But the thing is i was able to connect wifi to my phone samsung s duos and nokia e63 but i was able to do net on my nokia but in my samsung mobile it was just happening for few seconds after that i was unable to do net in my samsung mobile. What i have to dofor this to get net in my samsung mobile also? i m getting an error stating… The hosted network couldn’t be started. The group or resource is not in the correct state to perform the requested operation. Read other comments for fix of this problem..
hi saurabh,i created the wifi hotspot last night and i slept off when i woke up this morning my laptop was already dead and i charged it and switched it on but the wifi was gone…please what should i do??! hi i just followed all the steps and the network has been established. I tried to connect this wifi in my mobile but it is not getting connected only.its shows that its authenticating and then i.m getting authentication problem error. what to do for this error please reply with a solution. neither connectify nor virtual router work. every time i start my lappy i have 2 creat it again…can u tell me hw 2 set it permanent..?? when i do it i complete all the steps but at the end when i get ready 2 tick the box that will share my main connection it says “an error occured while network sharing was being enabled, cannot complete this function”….any ideas how 2 fix this problem? I was able to enable the wifi on windows 8, my iphone was able to connect but cannot browse any web. thanks …… first time when i did this it worked but i am getting one problem now.. I did all the things which you have advised in the tutorial. My android mobile says that the wifi is connected to my pc’s hotspot. But when I go to browsing, google homepage is not at all getting started. Its has been loading and finally it says that there is a server problem..
What is the command to complete remove the hotspot? This techique worked to create & use the hotspot but now the Ethernet port doesn’t work on the PC. Not working.. i have followed every single steps u showed.. but when i connect my blackberry 9800 with this wifi connection, it shows “Failed to get proper IP address” in my mobile screen… What’s the solution ??? After following your complete process, next day by mistake, i right clicked on newly created network and selected disable. now when i am again opening cmd prompt and entering the cmd (netsh wlan start hostednetwork) then m getting rply …’hosted network coudnt be started.. group or resource is not in correct state to perform this operation’. plz help me to resolve this problem. i’ll be thankful to u.
bro plz help me out … im getting error=failed to obtained an ip address. i don’t have wifi what will i do? how to make wifi ap without password in windows 8? all is ok….but the virtual network dont send any data..i connect my android device bt cant access network..what can i do? Hi, i am using internet through USB. i have hosted network, connected network.. all set. but, when i connect through my mobile it shows ‘No Internet Access’ though it connects hosted network. i switched off firewall too. But not able to access internet. Plz let me know what should i do..? created hotspot and shared internet through it successfully. I also see my created hotspot on other wifi devices but when i connect i get authentication error on every device i have checked password many times. hey bro ur trick such a awsm ………..
“the username and password for this connection cannot be saved for use by all users. as a result, internet connection sharing can only dail this connection when you are logged on. to enable automatic dialing, you should create a new connection for all users, save your username and password for all users and then enable for the new connection”………..